New management URL https://my.micusto.cloud with a clear overview of subscriptions and upcoming renewals. Increase balance with credit card payment and achieve bonus through larger payments! New internals based on Docker. Each space is now containerized with its own services inside its own separate network (software defined network). A space now consumes a larger pool of resources in total (memory and processes), but gain better security, scale out options, stability and control. 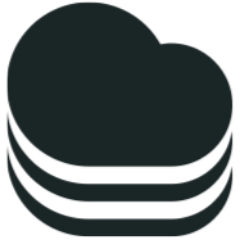 Micusto Cloud v1 file cache has been deprecated in v2. Configure Pass Through URLs and Cookies (Varnish Cache). Straightforward SSH access for each space with CLI tools. Most tasks are moved to micusto CLI tool. For web applications that need a database to work, a database is now created by default when a space is created. Micusto Cloud v1 PHP versions PHP 5.4/5.6 vs. Micusto Cloud v2 versions PHP 5.4/5.6/7.0/7.1. Micusto Cloud v2 has several new features, e.g. Let's Encrypt (free SSL certificate for each domain). Easy to adapt and run any application that runs on a Linux platform including applications written in PHP, Go, Python, Ruby etc. Contact our support if you wish to scale out your existing application.